NuBoyana Film School launches with a course in Visual Effects. It is designed to train you for a professional career in the VFX industry. As students, you will be taught by top experts in the field and will be using various industry standard software. Those of you who complete the course successfully and with excellent results will be offered a permanent full-time job in the VFX department of NuBoyana Film. Good communication skills -please indicate what Languages you are proficient in. The course begins on December 1st 2014 run Monday to Friday 9:00 a.m. ’till 6:00 p.m., with a lunch break from 12:30 to 13:00 and 3×15 minutes breaks between the classes. 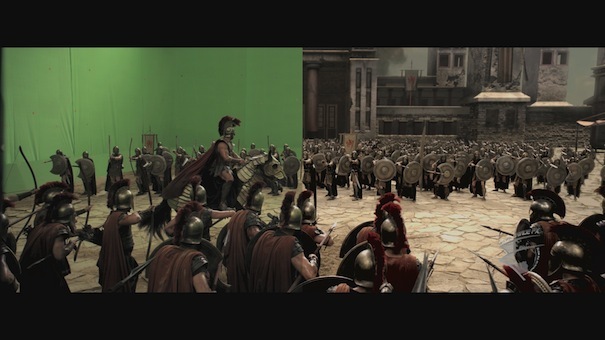 Compositing is the final stage of a shot’s VFX treatment. The compositor is the artist who assembles and “composes” together all 3D elements (such as smoke, creatures, explosions) in such a way that they blend seamlessly into the shot and creates an image, which is indistinguishable from reality.